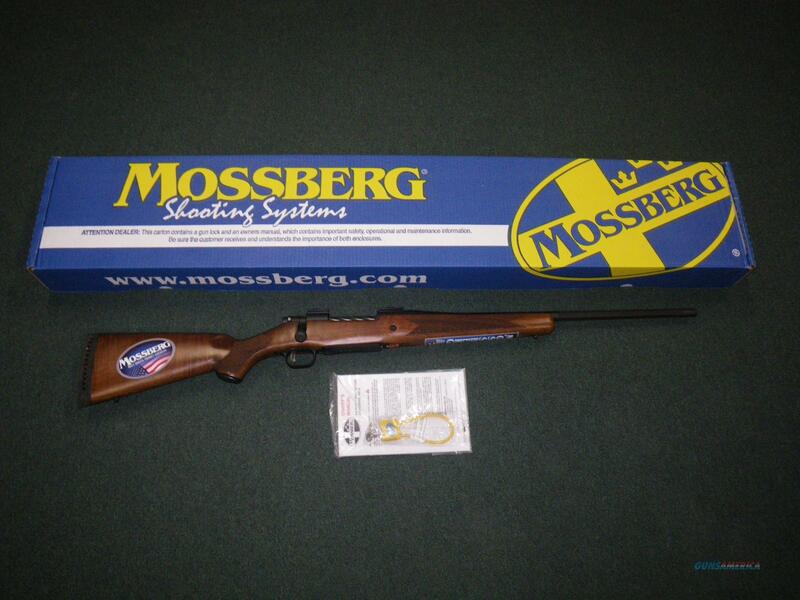 Description: You are bidding on a new Mossberg Patriot Walnut in 300 Winchester Magnum with a 22" fluted barrel. The Mossberg Patriot is raising the bar on "standard" features with value-rich rifles that suit any hunter's style. Standard Patriot features include drop box magazines, recessed crowns, fluted barrels, spiral fluted bolt, streamlined bolt handle, Weaver scope bases and a patented Lightning Bolt Action LBA user-adjustable trigger system. Displayed images are stock photos. Any questions please feel free to ask (our phone number is in the additional information tab above).